Upon your arrival in Johannesburg you will be met by one of our representatives who will brief you and help you collect your rental car. Johannesburg was built on the fortunes of the vast gold deposits that were found there at the end of the 19th century. It is one of the world’s greatest metropolises. 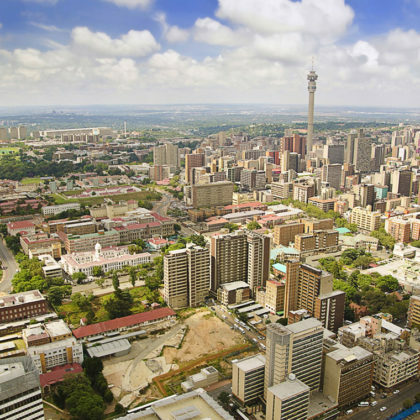 Today, you will go on a tour of the exciting city of Johannesburg, taking in the highlights and attractions of the business district. Then visit Soweto which a township which was the centre of Apartheid resistance and where you will visit the home of former president Nelson Mandela. You will visit the Apartheid Museum and Museum Africa. 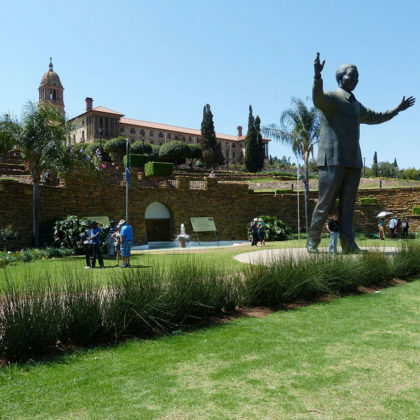 In the afternoon you will travel to one of South Africa’s three capitals’ and the de facto capital of the country Pretoria which is known for its Jacaranda lined streets. One of the attractions you will see is the houses of parliament. 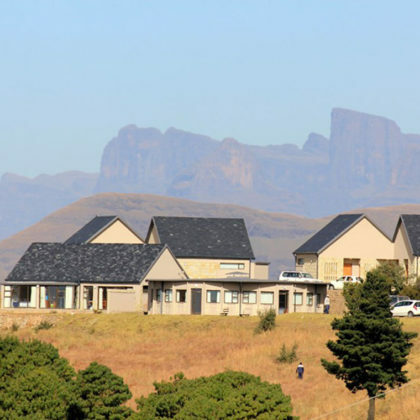 It is quite a long drive today of about six and a half hours southwards through the country to the soaring heights of the northern Drakensberg Mountains. You will stay in a lodge which has views over the soaring Sentinel Peak and the Mont-Aux-Sources. There are several hiking trails that range from comfortable to difficult which you can follow to take in the magnificent scenery. You can also see the endangered beared vultures. Today you will travel from the northern Drakensberg to the southern Drakensberg a journey of 420km which will take about five hours and encompass some of the most beautiful mountain scenery in South Africa. You can stop off at the Marutswa Forest, a beautiful indigenous forest which hosts a beautiful selection of grasses and wild plants, which includes many different ferns, very rare ground and tree Orchids, white and orange paint brush lilies. After your arrival, you can relax and admire the views towards the Rhino Horn Peak. Spend the day relaxing or head out on one of the hikes in the area and take in the breathtaking scenery. There are many outdoor activities on offer such as tennis and volleyball or horse riding. Some of these activities are not included. Alternatively, you can relax by the swimming pool. 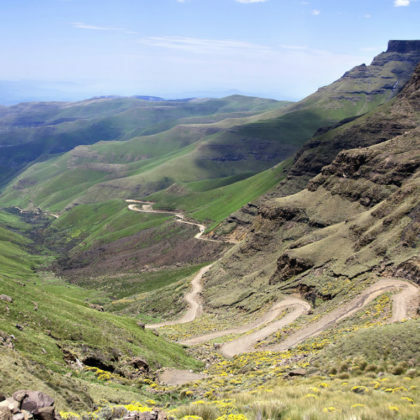 Today’s highlight is the hair-rising Sani Pass, with its steep cutaways and abrupt hairpins that twist to the top of the escarpment and the highest point in Southern Africa reachable by wheels. 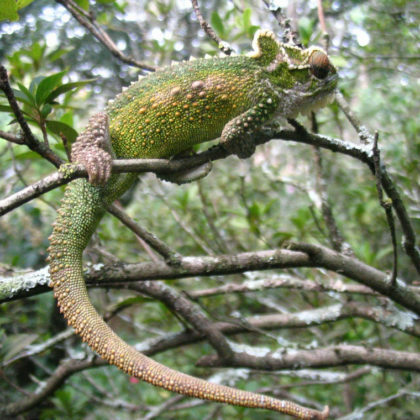 The pass itself is an experience of a life time as it zigzags to the “Roof of Africa. The route up Sani Pass starts at 1544m and climbs 1332 vertical meters to an altitude of 2876 m. You will stop at the highest pub in Africa for a drink and enjoy a cultural meeting with the Basotho people before descending back to the Underberg at the foot of the Drakensberg. After breakfast you leave for the town of St Lucia bypassing the city of Durban. 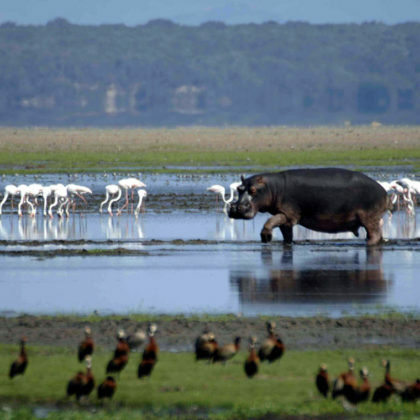 The town forms part of the iSimangaliso Wetland Park which is a UNESCO World Heritage Site due to the great diversity of wildlife and plants which are found in the estuary. The lagoon is home to more crocodiles than anywhere else in South Africa. 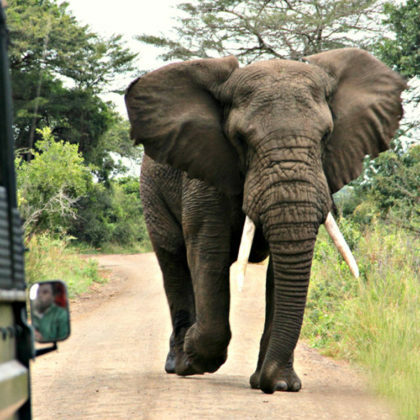 The day starts with a game drive through the Hluhluwe iMfolozi National Park where you can experience the Big Five of South Africa. The Hluhluwe–iMfolozi Park, formerly known as the Hluhluwe–Umfolozi Game Reserve, is the oldest proclaimed nature reserve in Africa. Due to conservation efforts, the park now has the largest population of white rhino in the world. Later the afternoon you will leave on an excursion to see the hippos and crocodiles patrolling the banks of the iSimangaliso wetland. This is a great opportunity to spot the incredibly diverse wildlife which occurs on the lagoon. After breakfast you leave for the sub-tropical town of Durban. 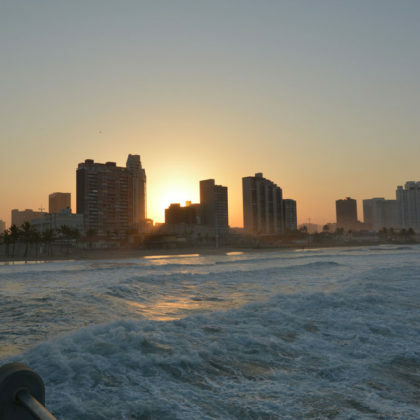 The City of Durban is famous for being the busiest port in South Africa and Africa. It is also seen as one of the major centers of tourism because of the city’s warm climate and extensive beaches. It has a great multi-cultural vibe and is home to the largest population of Indians outside of India. 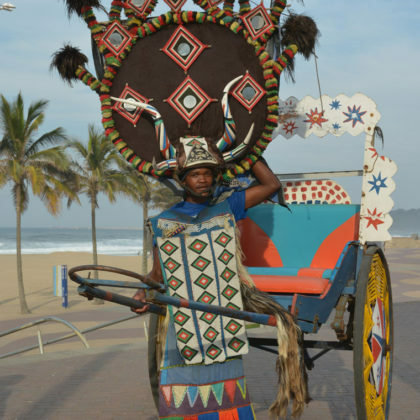 In the afternoon you will go on a beachfront tour along Durban’s Golden Mile promenade with its golden beaches, many curio sellers and colorful local rickshaw drivers. A ride in one of these rickshaws can be arranged at extra cost. Your guide will negotiate the price with the rickshaw driver. The tour ends with a stroll through Durban’s beautiful botanical gardens. 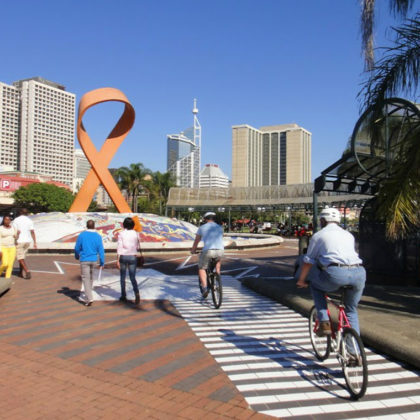 Today, you can spend at leisure exploring Durban. You could visit the uShaka Marine World, one of the largest aquariums in Africa or learn about how Indian migration influenced the local culture while on a visit to the spice markets at Victoria Market. 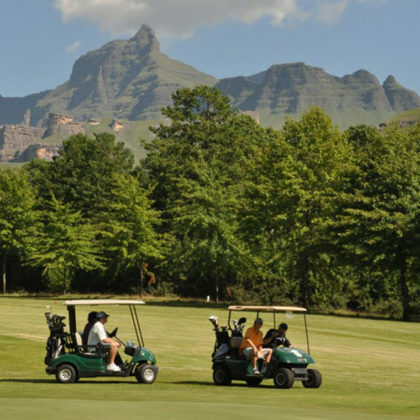 This is the last morning of your Johannesburg, Drakensburg and Durban holiday package. After breakfast you will continue on to your next destination.